What do the acronyms SORG and JANAC stand for and how do they differ, one from another. (No, the letters and the order of the letters do not count as a correct answer!)? Cdr John Alden was particularly interested in one area of research related to these two things. His passing has stopped further work as far as I know. What was he researching in particular as it related to these things? Contempory analysis of Japanese sinkings and post war analysis. Former was based on US records, latter based on all sources including Japanese. SORG (Submarine Operations Research Group)......Listed and assessed all reported submarine attacks. JANAC (Joint Army-Navy Assessment Committee)......Japanese naval and merchant shipping losses during WWII by ALL causes. CDR Alden did considerable research on discrepancies between sinkings claimed by submarine CO's and those credited by SORG & JANAC. He had access to Japanese records that JANAC didn't in 1947. Finns may have faults,but being wrong isn't one of them. Cdr Alden's work was more than that. He had access to something else. Is it the research he did on mines laid by USN submarines during WWII, and the results of those mine fields that were laid?? Not specifically. Something much more detailed. The story of assembling accurate records of attacks, tactics, results and shipping losses (mainly) in the Pacific Theater of Operations during the US involvement in World War II goes something like this. A submarine makes an attack on a tanker in convoy. It fires four Mk 14-3 torpedoes. The submarine is forced down by a destroyer making a depth charge run but hears three detonations that match the time of run for its torpedoes. The submarine comes back to periscope depth some time later to find some oil slick and debris on the surface with the tanker and convoy are gone. A claim is made in the patrol report of the sinking of a tanker of 4000 tons tentatively identified as the X-maru using the ONI books and Jane's for identification. The Submarine Officers Research Group is assembling data to assess many things such as attack tactics, results, convoy and enemy ship tactics, torpedo effectiveness, amongst many other things. Of these, the most interesting data to the crew are the count of ships sunk and tonnage by their ship. 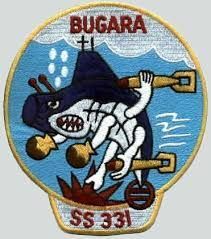 Thus is born the SORG data table of the record of the US Submarine Force in WWII and the legendary exploits of the submarine crews and their CO's. Sometimes the report is found to be wrong. A boat may be given a 'probable' or a 'damaged' instead of a sinking. The data might be wrong because another sub or an aircraft might have sighted the tanker a day or two later in a damaged state in a harbor near to where the first boat made its attack. SORG's data are the first step in compiling an accurate record. After the end of WWII another resource is made available and us used to correct the existing record and to determine the accuracy of the SORG method of analysis. This new resource is the records of the war maintained by the Japanese. This set is examined and for example it is found that the 'X-maru' was in fact damaged and was 2000 tons rather than the 4000 tons previously thought. The resource material is used to 'correct' the record. This new revision is generally called the Joint Army Navy Assessment Committee record of all naval and merchant shipping losses by all causes. In many cases the claims made and ship sunk/tonnage credits are changed. These changes are not always to the liking of the men who made the patrols and are cause for much (sometimes rancorous) discussion. These two record sets seemed to be the end of the sources for data. Cdr. Alden used these data to compile a listing of all the submarine attacks made during WWII. This work was 'in progress' as the he found errors or changes that needed to be made. There were many blank spots in the listing where no information existed. Some will never be filled because the accurate data went down with the boat or the target ship. He also knew one major resource was missing. There were 'classified' patrol reports and there was the issue of the data gathered from the translation of 'broken' Japanese radio codes. The latter were lumped into 'Ultra' data which was classified 'secret'. With the release of some (but not all) of these voluminous records there came a chance to correct the records of the submarine force even more. For example, take the issue of the sinking of the 'X-maru'. Say it 'dropped from sight' after being seen in a damaged state in a harbor. There were no Japanese records available to JANAC that addressed what became of the ship. Was it repaired and sunk by another boat later thus being counted twice? Did it sink in the harbor and was scrapped there? This information might be contained in the now declassified Ultra data and message traffic. Cdr. Alden was working on digging this information out to correct his record of all the attacks and the results. It was a labor unfinished when he passed away and is still unfinished. Not all the records are unclassified and not all the unclassified records have been examined. The work is daunting as it requires a great deal of time and effort to combine what these newer data sets with the three existing sets (SORG, JANAC and Alden's 'Submarine Attacks'). Someday perhaps the work will be taken up by others and finished but I think not. As time passes the accuracy of the final record becomes less important to the living and is left to the historian only. It is akin to looking at all the records available to determine accurately what actually happened at the battle of Gettysburg down to the company level. For those of you out there with the time, money and interest the task awaits. In addition to Japanese records, Janac had access to Army Air Corp data whereas in general the Patrol Report Endorsers/Creditors did not. I recall examples where AAF planes claimed sinkings after a Boat had claimed a Sinking. One unusual case comes to mind during Operation Barney in the summer of 1945. An Army High Altitudee Bomber (30,000 feet) over the Sea of Japan photoed four sunken/damaged Submarine kills the day following the action. Admiral Lockwood actually received the photo and fully credited Skate with the correct Kills and Damage in his Final Endorsement. It was not the Patrol Report claims that entitled the medals and credit, it was the Report Endorsements. Your emphasis about the difference between the Patrol Report and the Patrol Report Endorsements is well taken. It is like an insurance 'claim' and the insurance company's 'check'. However, it brings up an interesting point. Let us presume that a claim was made in a patrol report of a ship sinking a 10,000 ton freighter and that it was the only ship sunk by that submarine in that patrol. This would mean that in all likelyhood the patrol would be deemed 'successful' and be so credited by the Admiral's endorsement. Then, postwar it is found to be incorrect and the ship credited was not sunk or damaged thus that submarine did not sink a ship in the patrol. Is the appellation 'successful' withdrawn along with the honors and awards that might go along (the awarding of a combat patrol pin for example)? Would the work of Cdr. Alden if he found a crediting error also carry this 'discreditation'? The reason this is interesting is because of the resistance to the JANAC findings. I only know of the rumors of resistance but have listened to the arguments for both. Is there an 'official' Final Tally? Is there a statute of limitations on new data?